A replica spitfire pilot had to perform an emergency landing at Sibson Airfield after their landing gear failed. 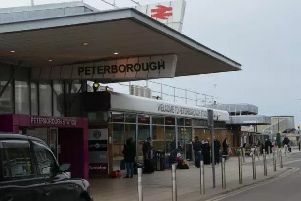 The pilot was preparing to land at the airfield near Peterborough at about midday on Saturday when the pilot radioed to say he couldn’t release his landing gear. Skydivers jumping at the airfield were grounded as the pilot circled for more than 20 minutes to burn fuel. Emergency services arrived at the scene just as the replica plane was carefully flown towards the ground in strong winds. The pilot managed to land the plane without any landing gear, skilfully skimming it over the grass on its belly. He was completely unhurt and, apart from a broken propeller, the plane was largely undamaged. Photographer Mark Norman, 44, who was at the airport to film skydivers, said: “It could have been far worse than it was. It was very dramatic. “I had been here all day filming the skydiving and they shut our operation down so that he could crash. “He came over the radio to say the wheels just wouldn’t come down on it so he had to go round and round and round to get rid of his fuel. “I can imagine he was feeling a bit nervy. “He put the tail end down first and then the rest down and came to a full stop right there. It was very impressive. “Everyone was waiting nervously and just hoping it would be ok.
A Cambridgeshire Fire Service spokesman said the first call of a plane in distress came in at about 11.45am. The spokesman said the pilot made a “successful belly landing” with the undercarriage retracted.